Our friends are asking for another wire wrapping tutorial on how to Wire Wrap Bail. This simple Bail, formed from a single piece of wire is easy to make and very versatile. It can be used for any top drilled stone, donut or as the finishing touch for a pendant. There is no need to worry, because this FREE TUTORIAL is for everybody from beginner to advanced. Have you got all the materials and tools at hand? You are good to go! 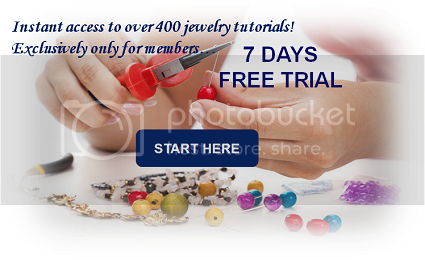 Can’t get enough of FREE pendant tutorials? It’s pleasingly graceful and stylish isn’t it?